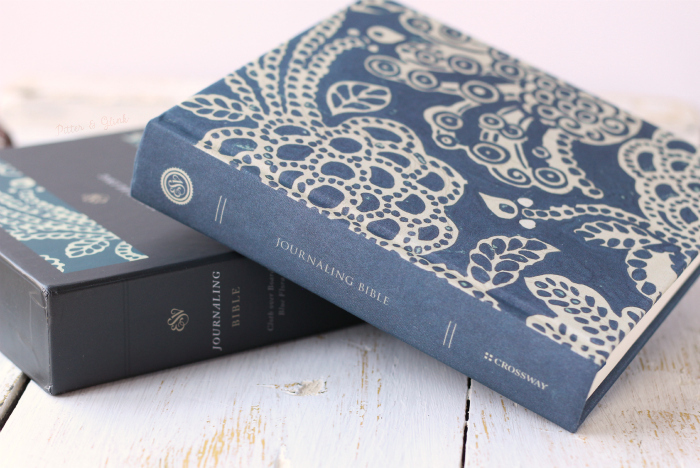 Before we get to the super-awesome giveaway, let me tell you about my new Crossway ESV Journaling Bible. When my Bible came in the mail, I think I squealed a little. The Bible was in a pretty box that matches the cover of the beautiful Bible on the inside. 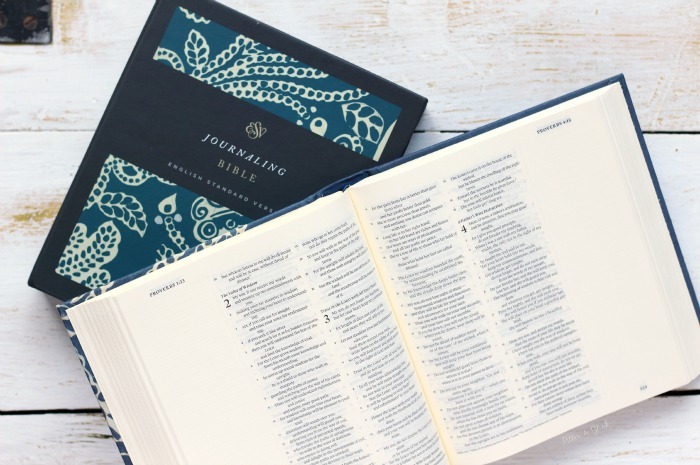 The Journaling Bible measures 6.5 inches x 7.5 inches. It's lightweight and a nice compact size for those of us who like to carry our Bibles around with us to church or Bible journaling nights. The cover is described as "cloth over board," and it features a pattern called "Blue Flora." The cover almost has a velvety feel, so I just love rubbing my hands over it. 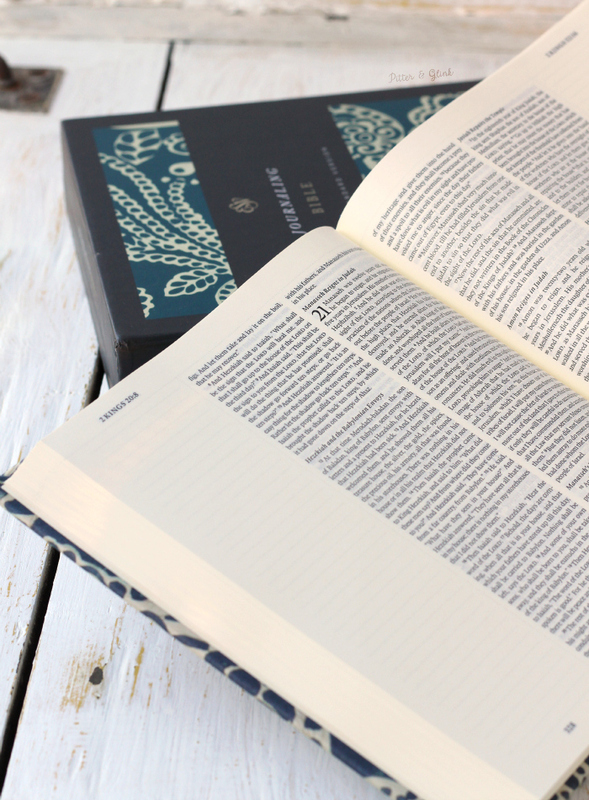 The inside of the Journaling Bible features black letter text on cream-colored paper. 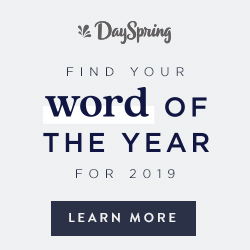 The scriptures are in a double-column, paragraph format, and there are 2" ruled margins on the pages that are perfect for journaling notes, reflections, prayers, praise, etc. It should be noted that, like many journaling Bibles, the type size is 7, which may be too small for those with aging eyes. Also, there's a One-Year Bible Reading Plan at the back of the Bible, and each Bible book has an introduction and section heading. 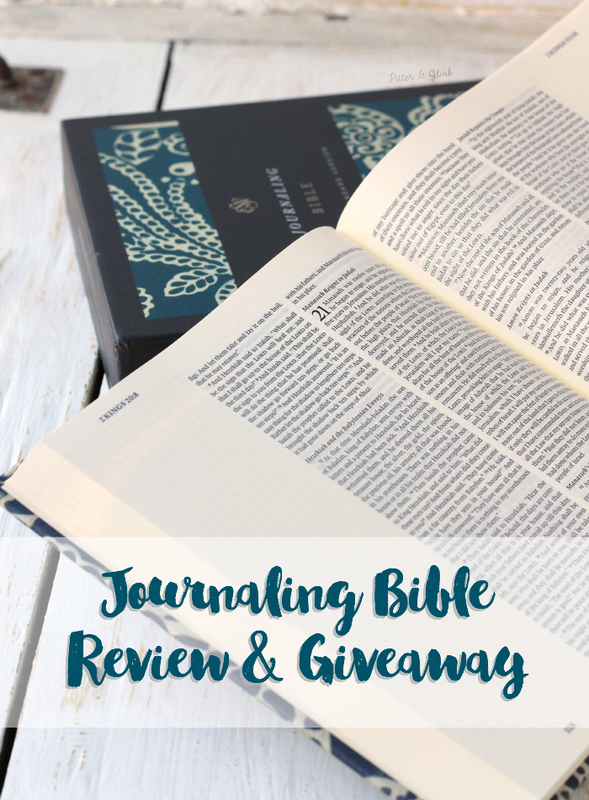 The Bible is truly lovely, and I'm so excited that I get to give one away! That cover is soooooooooo beautiful! I would love to win this for a friend! My favorite Bible verse is Is 40:31! One of my favorite Bible verses is 1 Corinthians 13:13 And now these three remain: faith, hope and love. But the greatest of these is love. This is so exciting. I have been saying I am getting a journaling Bible for a long time, but I still have not. 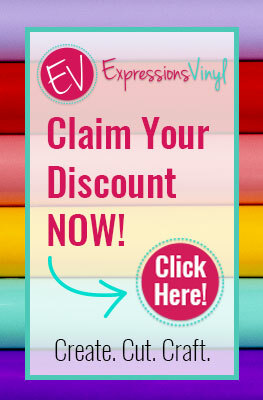 I really have been waiting to hopefully see some new designs and colors come out as most I have found are just plain. This pattern is absolutely gorgeous! My favorite verse is 1 Corinthians 10:13. It is a daily reminder to me that God is faithful!!! I would love to win! what an exciting give away...thank you so much! I am gaining favorite verses as i really dig into my Bible. My fav right now is Psalm 16:8 "with him at my right hand i will not be shaken!" Love the cover, beautiful! "I can do All things through Christ who strengthens me!" Philippians 2:13 is always be my Bible verse, reminding me that it is only God who is the one giving me the desire to serve Him and please his heart. Thanks for the chance. Job 37:5 God's voice thunders in marvelous ways; he does great things beyond our understanding. I have many favorites, so I'll pick a favorite book instead--Philippians. My favorite is Psalm1. Love your work!! I particularly love John 1. 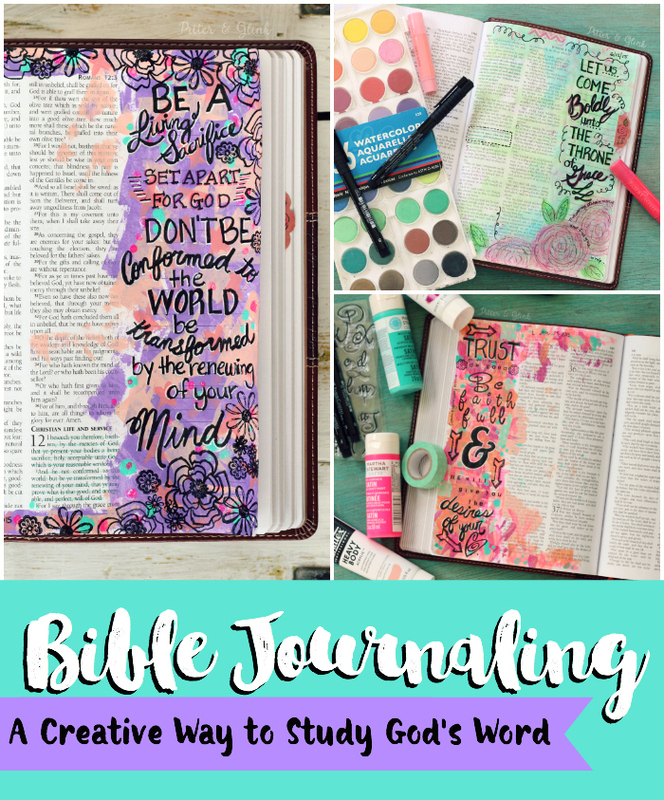 I would love to win a journaling Bible. 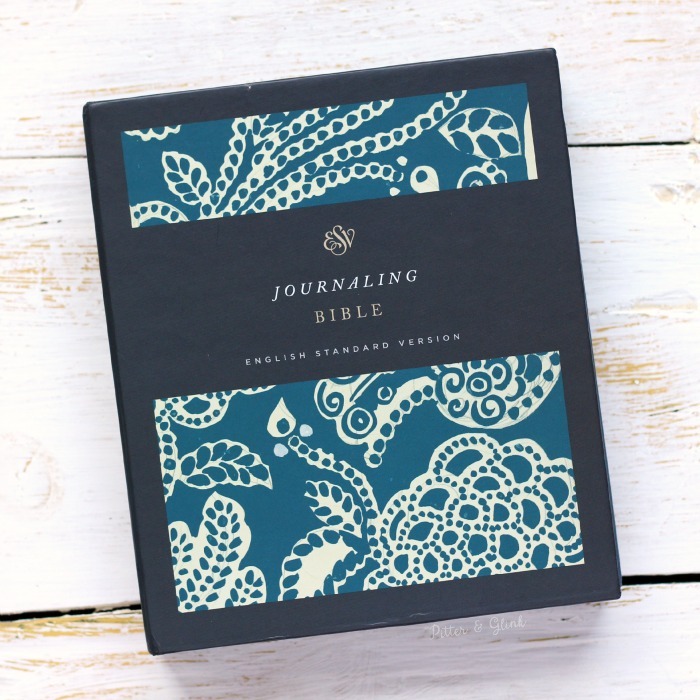 The book of Ruth is my favorite, I would love to win this little beauty, what a neat way to jot down thoughts. I love Ruth too. Just read it today. I want to win! Oh please, Jesus! lol My favorite verse is Philippians 4:6-7, especially on NKJV. Be anxious for nothing, but in everything by prayer and supplication, with thanksgiving, let your requests be made known to God; and the peace of God, which surpasses all understanding, will guard your hearts and minds through Christ Jesus. I cling to these verses when I have anxiety. They get me through a lot! So many good Bible verses listed here! One of my favorites is Psalm 23:1 - "The Lord is my Shepherd, I shall not want." This verse was a big part of my journey to becoming a Christian. 2 Corinthians 4:8, " we may be knocked down but we are never knocked out"
A stranger quoted this to me one time, said he was inspired to do so. I had been going through a rough time. When I got home I looked it up. It has stayed with me ever since. So hard to choose just one favorite verse! I love Isaiah 60:1, 1 Cor 13, Phil 4:8, John 3:16 among others. 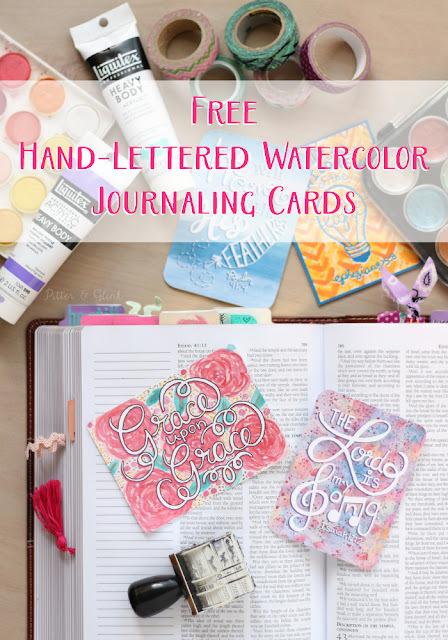 Really hoping i win this I want to get started in bible journaling!! My favorite verse is Zephaniah 3:17! Love the ESV; been using it for years, and journaling in another folder. To be able to do it one book would be terrific! Proverbs 3:5-6. Not original but it sure speaks to me - trust the Lord, not yourself - He always guides me the right way!! Matthew 6:33 Seek first the Kingdom of God and all these things will be added unto you. Several. One of my favorite passages is Psalm 23. John 16:33 has pulled me through the trenches so many times, that it's definitely one of my favorites, and is the first to come to mind. This Bible is beautiful! I would be ridiculously excited to win, as my daughter and I both have one on our Christmas Wishlist! Thank you for the giveaway! Hebrews 13:2 (KJV) Be not forgetful to entertain strangers: for thereby some have entertained angels unawares . Phillipians 4:6-7 My life verses. So pretty!!! Phil 4:13 for me! This is beautiful I would love to win this for my daughter!